In one week, Lady Annabelle Chatfield will marry the Earl of Brackenbury to save her desperate family. But oh, if her brother Stephen had to die in debt, couldn’t he have picked a younger, handsomer creditor? Annabelle soon regrets her selfish wish, when a ruthless stranger climbs into her chamber at midnight and carries her off. Thus begins a nightmare which will blossom into romance and adventure, turning Annabelle from a girl into a woman and changing her life forever. Before she leaves Louisiana for London, Lady Barbara Poole slips out with her cousin Frank to celebrate Mardi Gras with “gentleman pirate” Jean Laffite and his band. But Frank sneaks off to gamble, and Barbara finds herself alone with a masked buccaneer. Who is this charming stranger? Through a wild night of revelry he lights up her heart. When she wakes on a pirate ship wearing a wedding ring, Barbara echoes Frank’s question: Was it all a dream? When the dreaded corsair Barbarossa captures a Barbary Coast schooner bound for London, is his target the handsome young Comte de Gilordeau or his rosy English bride? In a deadly game of disguise and deceit, the newlyweds’ worst nightmare becomes their best hope: Can Lady Caroline seduce Barbarossa into offering them for ransom? or will he sell her husband into slavery and her to a pasha with a taste for blonde virgins? As you may have guessed from my books, I have family on both sides of the Mason-Dixon Line, and ancestors on both sides of the Atlantic. A lifelong Jane Austen fan, I’m fascinated by the often serene, often rowdy world of two hundred years ago. Along with the Blue Ridge Mountains of Virginia, I’ve fallen in love with many wonderful spots in England, from Brighton to London to Haworth. (Still looking forward to Bath!) I started riding at age 8, and writing around the same time. Although it’s been years since I had my own horse, I still hang out with them whenever I can, between travel adventures. Right now I’m working on my first audiobook for my spicy Regency historical romance series, and a new sweet romantic suspense novel. 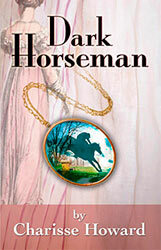 Dark Horseman: Mystery, Adventure, & Romance in Regency Virginia grew out of my fondness for the Charlottesville and Blue Ridge area, its history, its horses, and the people who love them. Four of the first five American presidents came from here, and I was curious about what was happening on their home turf as that first phase of United States history neared its end. Class and racial struggles were intense; how did that mesh with the ideals these men had written into their nation’s founding documents? Also, as a lifelong theatre fan, I wanted to learn more about the early American stage, especially what roles it offered for women. Most of all, though, Dark Horseman is a fast-paced, suspenseful historical romance novel of deceit and intrigue, love and betrayal! A is for Lady Annabelle’s Abduction: Regency Rakes & Rebels, I. If Dark Horseman is a “sweet” romance, Lady Annabelle’s Abduction is a “spicy” one. Some like it hot — if that’s you, don’t miss the debut romance in this scorching new series! Here the scenery comes from my many fond visits to the classic English countryside. Between the lanes and hedgerows, under the oaks and copper beeches, Lady Annabelle Chatfield cuddles with her spaniel, Lochinvar, and flirts with Chatfield Hall’s new footman. Only a week until her marriage to the Earl of Brackenbury! Personally, I’ve never had a fling with either an earl or a footman, but as a lifelong animal lover I grabbed the chance to include a dog as a main character in this heart-stopping Regency romance! And, of course, there are horses. 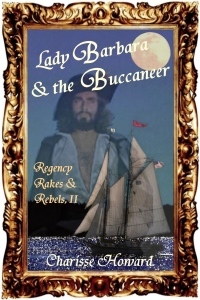 B is for Lady Barbara & the Buccaneer: Regency Rakes & Rebels, II. What’s steamier than New Orleans, spicier than gumbo, and as wild as Mardi Gras? I love the Louisiana bayous and was amazed to learn what a colorful role the islands of Barataria Bay played in the post-revolution squabbles between the U.S., Great Britain, France, and Spain over land and trade. In this Regency historical romance, Lady Barbara Poole, exiled from London to the tiny fishing community of Grand Isle, joins her cousin Frank for a pirates’ Carnival. The Americans banned Mardi Gras when they bought the Louisiana Territory from France in 1803 (Napoleon needed money to invade Britain). Now only Jean Laffite and his band dare to celebrate. Swept into an all-night revel by the Black Buccaneer, Barbara wakes with a full heart, an empty bed, and a mystery she’ll have to cross an ocean to solve. 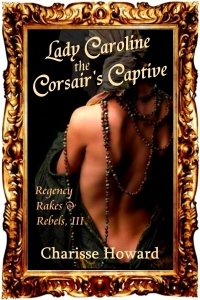 C is for Lady Caroline, the Corsair’s Captive: Regency Rakes & Rebels, III. Those officers who kept marching in and out of Jane Austen’s novels were part of a worldwide war. Napoleon, having flipped off the French Revolution by making himself Emperor, set out to conquer the rest of Europe. 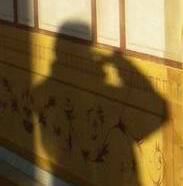 Across the Mediterranean, in the Maghreb region of North Africa, the rulers of ports like Tunis, Algiers, and Tripoli already were turning a blind eye to the Barbary Coast corsairs in return for bribes. France had recklessly stiffed the dey of Algiers years earlier on a bill for feeding its soldiers. I couldn’t help wondering: What if Napoleon grabbed the chance to settle that account and bolster his Mediterranean forces? Wouldn’t the corsairs once again become warriors in Europe’s proxy battle? That’s the mess which ensnares Lady Caroline Grantby when she’s traveling in the Maghreb with her parents and impulsively marries Jerome Sarratt. What she doesn’t realize is that this son of her father’s old British Army friend is also the Comte de Gilordeau, and a prime target for both sides. No sooner do the newlyweds embark for London than they’re captured by the fiercest of the Barbary Coast corsairs: Barbarossa. It’s up to Caroline to save herself and Jerome; and she only has one very risky shot.